Business Email or Webmail is simply email that is specifically used for your business purpose.Business email – It is a method of business communication that plays an important role in establishing relationships with colleagues, partners and sponsors. Typically, your business email address includes your company name as “yourname@companyname.com” and your colleagues will be similarly formatted their email addresses.This professional way of sending business email will also be provided as a form of advertisements because your business name will be visible with each contact. 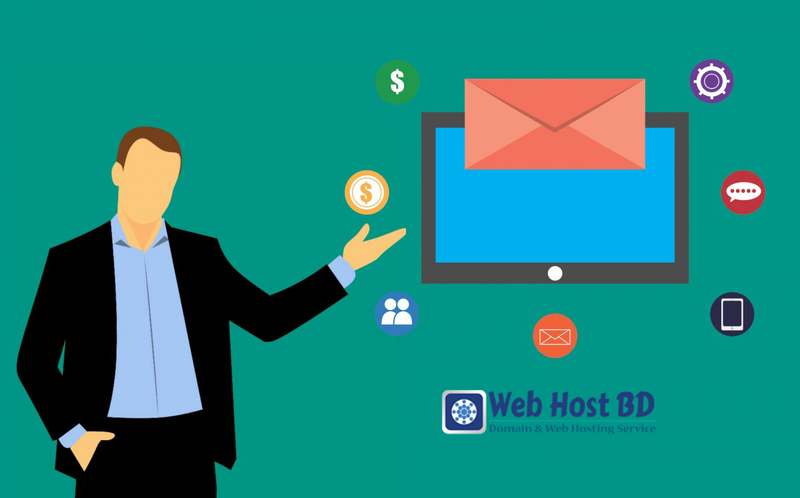 Web Host BD provides Business Email service in Bangladesh. Our Business Email service is secure, reliable solution for your web-based email needs. All of our plans come with a fast, lightweight webmail interface for managing your email and contacts. With full browser support, Business Email’s slick interface makes email enjoyable again. With no expensive software requirements and no privacy concerns, our webmail service is perfect for personal and businesses enlargement.